The latest generation of our top-selling VM Series, this vertical machining Center is sure to be another crowd-pleaser. Designed for extreme rigidity and accuracy, it features a No. 50 taper for heavy-duty cutting and larger tool sizes, a double-anchored core chilled ball screw and more. 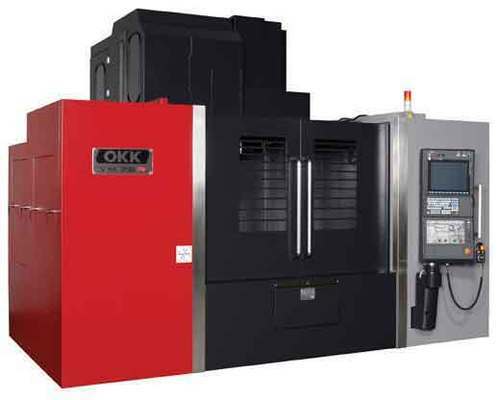 Looking to Purchase a New OKK VM76R? Looking for a USED VM76R?Have one to sell?